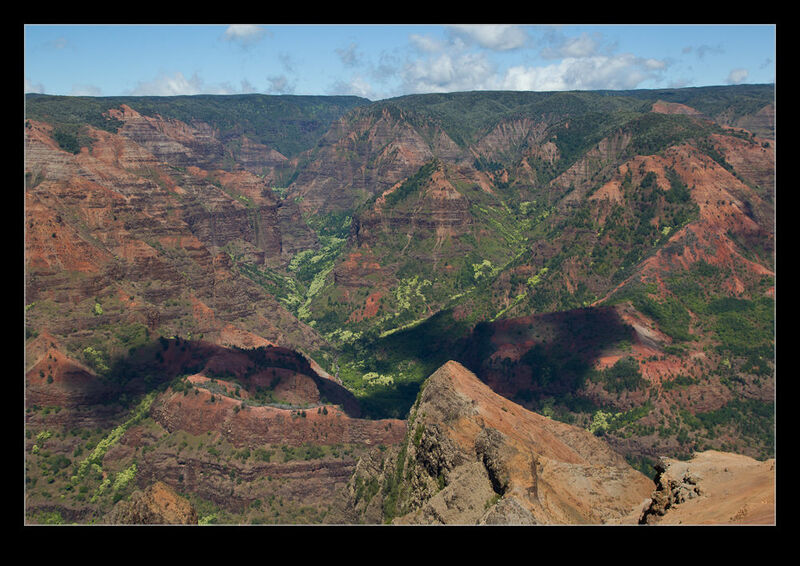 The Grand Canyon of the Pacific – that is one of the names that is given to Waimea Canyon on Kauai. 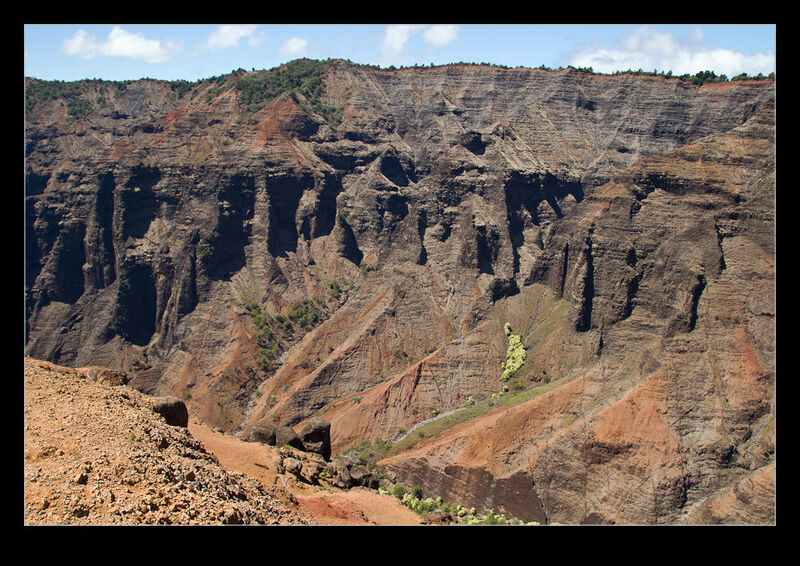 It is a dramatic geological formation that runs through the middle of the island. The drive there is not a short one but it certainly is worthwhile. The scenery is dramatic and there are plenty of good locations close to the road from which to take it all in. Over and above the easily accessible areas, there are plenty of hiking options available to take advantage of and, despite the fact the peak of the tourist season had passed, there were still a lot of people taking a walk through the wilds. Our hiking activities did not necessarily go according to plan. We had picked a couple of trails that we wanted to explore, one before lunch and one after. We got to the first trail quite early as a result of starting out from the hotel promptly. There was an option to drive the first section if you had a 4×4 but we skipped that and trekked off. After the track ended and we were on the trail itself, we descended the hillside. All of this descending is one of those things you can’t help but be aware of when you know you are going to be coming back up the same way! A little while later one of my boots suddenly felt like something was stuck on it. Unfortunately, that was not the case. Instead, the sole of the boot was coming away from the rest of the boot. No option but to turn around and head back to the car. The climb back up was just as I had imagined it would be. Meanwhile, the second boot was starting to disintegrate as well. These were boots I had owned for many years but hadn’t used for a while. I guess the material had aged and couldn’t hold together any longer. The separation of the sole got worse and we headed back up and one sole was gone by the time we reached the car and the other was almost done. A change of shoes and we now went for a second effort. The time we had taken meant the sun was a bit higher in the sky and the temperature was a bit higher. We passed bits of the sole of my boots as we went and then got into new territory. 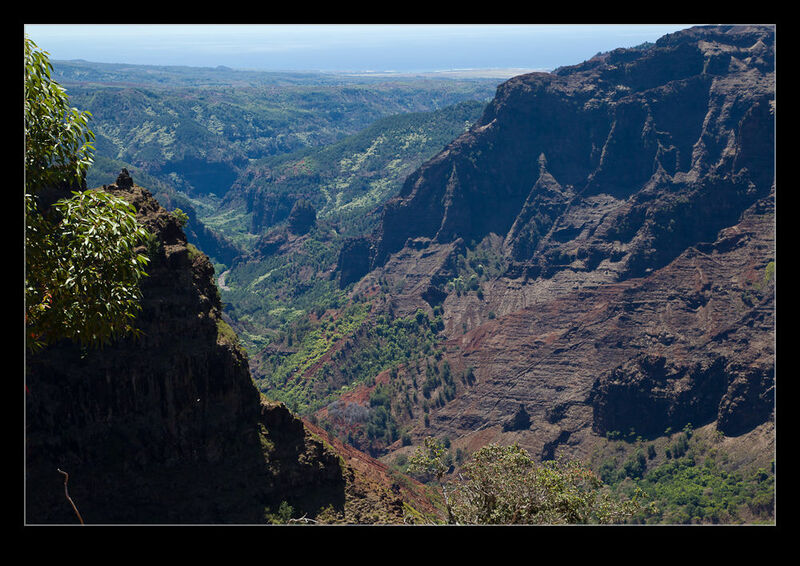 Eventually we came out on an exposed area of rock with some excellent views of the surrounding canyon. A bit more of a descent and we came to the top of some waterfalls. The return trip was a bit more effort than we were really ready for. The climb up was a steady effort but the higher sun was now making us a lot warmer. That, combined with having already made a round trip for part of the hike, meant we were feeling absolutely wiped out by the time the car came into welcome view. A short drive to a cafe and we ate and drank like we hadn’t seen food and drink for days! 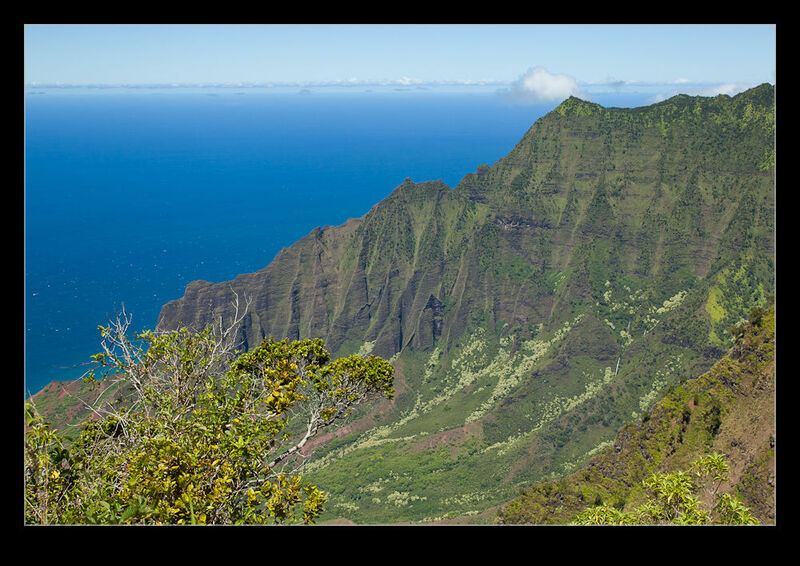 Needless to say, our enthusiasm for the second – harder – hike had waned and so we spent the rest of the time checking out overlooks closer to the road and enjoying the views from there. Some of the overlooks had been bypassed on the way up but checking them out as we went back down the roads was very worthwhile. 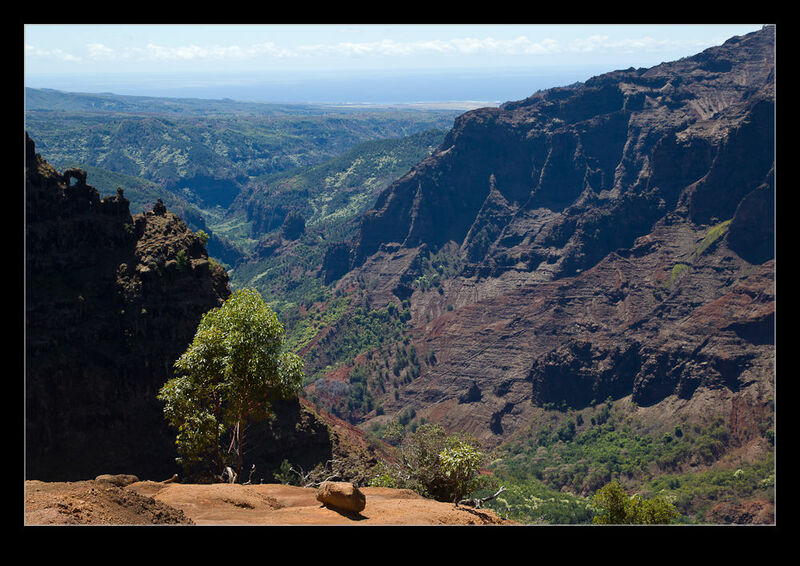 Some stunning scenery and some better views than from the very top of the canyon. We also watched a few of the touring helicopters which was part of our plan for the following day. I shall tell more about that in a coming post! 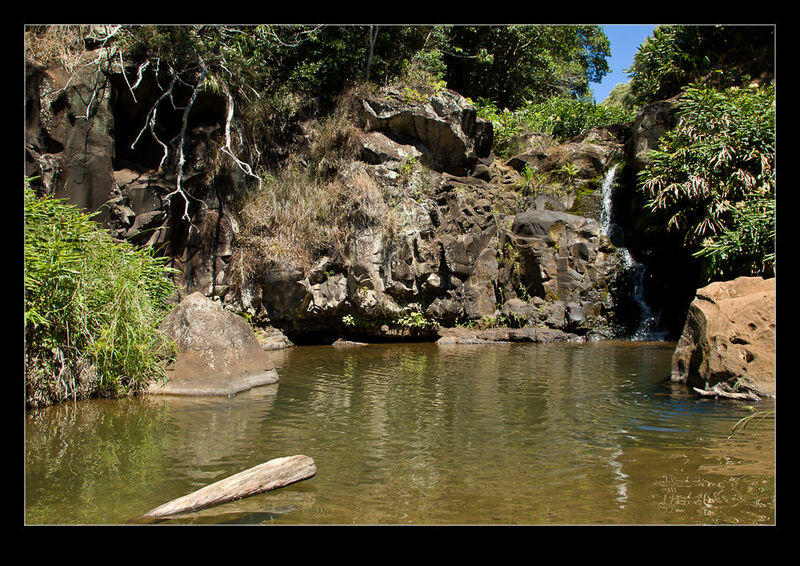 This entry was posted in photo, Travel and tagged canyon, Hawaii, Kauai, photo, waimea. Bookmark the permalink.